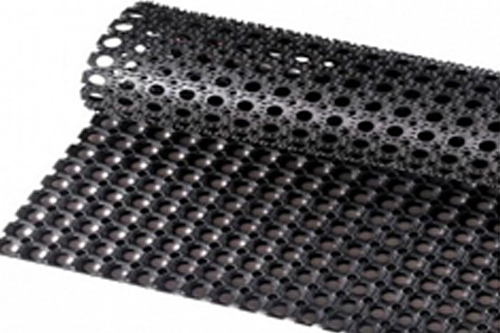 Rubber ring mats are extremely hard wearing and are used in all demanding conditions. These mats are anti slip and provide excellent drainage. Ring mat is most common universal design used in several applications. These mat come in several sizes and thickness. 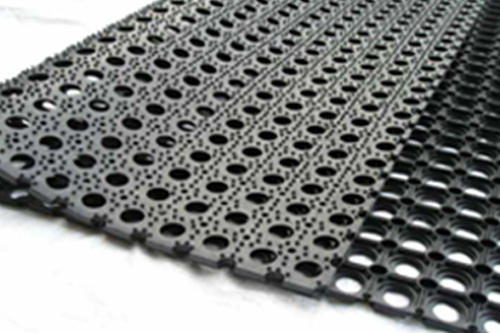 The mat is made of series of cross linked rubber rings. Ring mats are often referred to as Grass mats in the UK. Grass mat or ring mat protects the lawns and grassed area from becoming boggy and damaged in the children play area and swings. Ring mats also work well on hard floor and are used near ice rinks, milking parlors etc.